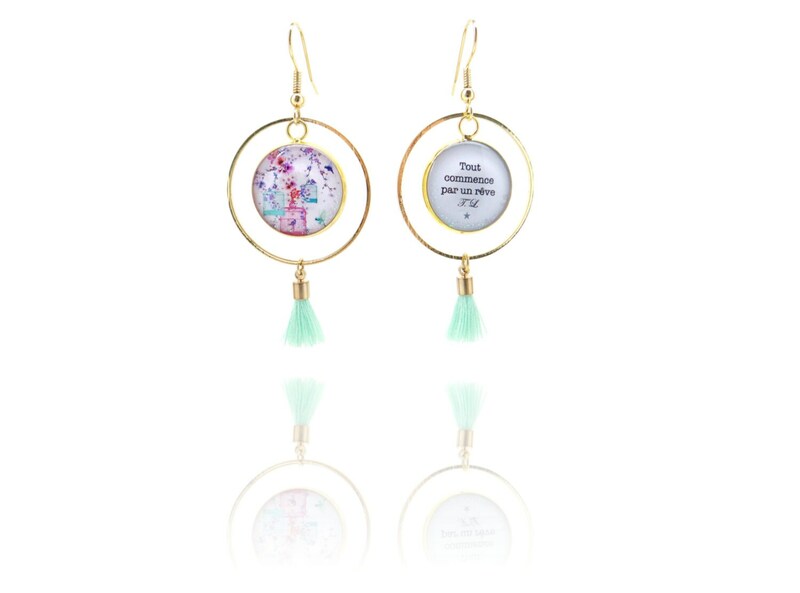 Elegant and light, these earrings are made mobile brass circle which swings in the wind. 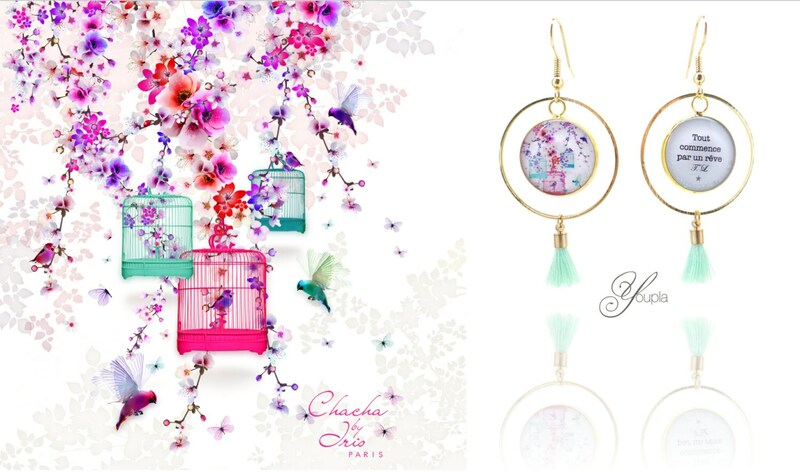 They dive us into the floral and dreamlike ChaCha by Iris and Caroline Dethier world. Each pair is beautifully adorned with a tassel color or gold star. and are a great Bohemian summer already! Material: earrings are designed out of a ring gold brass (alloy of copper and zinc) nickel free. Models with pom poms consist of a shiny golden ring and patterns with a star with a matte gold ring. Size of the jewel: 30mm in diameter ring. Total length: 65mm. 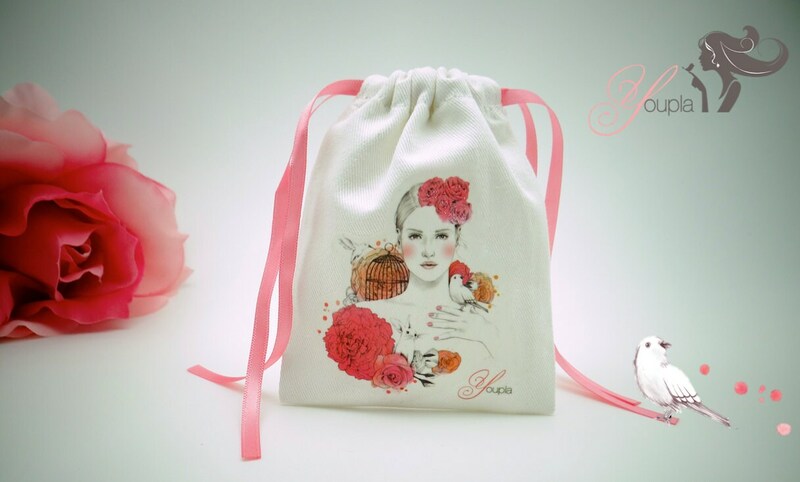 Presentation and packaging: they are sold in a pouch and are shaped as a pair. Magnifiques… Très jolie présentation, et petit mot très sympathique ! !